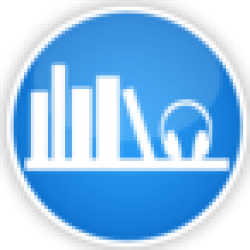 ABR's original Smile Now, Cry Later audiobook review and many others can be found at Audiobook Reviewer. 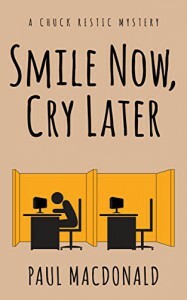 Smile now, cry later is the first book in the series “Chuck Restic Mystery” by Paul MacDonald, which is Published in January 2015, narrated by Paul Dake. The genre of this book is modern detective. Chuck Restic is a normal office worker in Human Resources for a large corporation, when a man in his corporation disappears suddenly. Only Chuck’s bad emotional state (his very near divorce) and his free time, made him start looking in this case, where he discovers that this disappearance is just the surface for something much bigger than he could have imagined. So here we have the protagonist “Chuck” who is unlike most heores in detective stories. He isn’t a macho man with all the charm that makes each female sown to the ground. He isn’t a hero with skills in Karate or an expert marksman the likes of a Matrix character. He is a BORING OFFICE WORKER, and you know what that’s okay, he gets beaten up, and threatened, but doesn’t go back to avenge his manly pride, he feels vulnerable, sad, and motivated to help another human being, his only weapon is his knowledge of psychology and HR skills (which is awesome by the way). The events here are told form Chuck’s narrative point, they are fast paced, but not so predictable as part of the plot, we can see the plot is logical, fun, and surprising. The narration of Paul Dake was very good at moving along with the events, he showed the suitable voice for each scene, he really could deliver the emotional states and the thoughts of Chuck with ease. However, there were some moments I just laughed out loud, he really did a great job with the story.